Have you ever wondered why you feel the urge to turn down the car radio when you are lost or looking for an address? The evidence we have right now strongly suggests that attention is strictly limited. When attention is deployed to one modality—talking on a cell phone, for example—it necessarily extracts a cost on another modality, such as the visual task of driving. We’re talking about divided attention, or the ability to multitask and pay attention to two things at once. It’s generally much harder than selective, or focused, attention. The factors that come into play are your attentional capacity and the processing requirements—essentially how much of which areas of your brain are needed to process the input. Your attentional capacity can be taken up by inhibiting (tuning out) distractions, dividing your attention across multiple things, or even sustaining your attention on one thing (vigilance). Fatigue takes a big toll on attention. If you’re tired, it’s harder to concentrate. Depression has a similar effect. In fact, many memory complaints may actually be depression- or fatigue-related reduced attentional capacity. And guess what? Getting older both reduces your attentional capacity and increases your processing requirements. Basically, it takes more and more inhibition skill to tune out distractions and stay focused. But all is not lost; there are steps you can take to multitask better! Do very different tasks. It’s much harder to do two very similar tasks (read and talk) at the same time than it is to do two very different tasks (run and talk). If you can use separate areas of the brain, that will help, but warning: the brain doesn’t always segregate perceptual information as clearly as you might think. Practice. If you’re better at each task independently, you’ll be better at doing them at the same time (even if you don’t do them as well simultaneously as when you do each one separately). Keep it simple. If you have to multitask, multitasking simple tasks will be more successful than trying to prove Fermat’s Last Theorem in your head while simultaneously writing a novel. 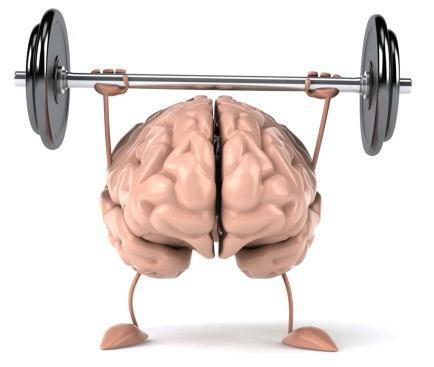 Train your brain. Researchers have shown that working memory can be improved by training and that such training helps people with attention deficits and it also improves reasoning ability overall. Dr. Jane Stewart at Optiminds has been helping people of all ages improve their cognitive, reading and memory skills. Find out more about Optiminds programs by calling us today at (248) 496-0150 or email us at: jstewart@optimindsct.com. And be sure to visit our website at www.optimindsct.com.